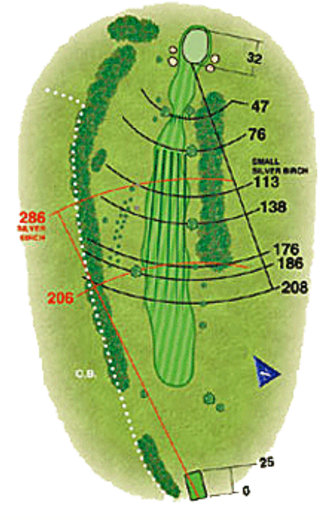 An inviting tee shot up past the Copper Beach tree will leave a blind shot to a very undulating green. At least an extra club will be required to reach the green. Front right of the green will leave the best opportunity for a two putt.